..a dozen or so to go. 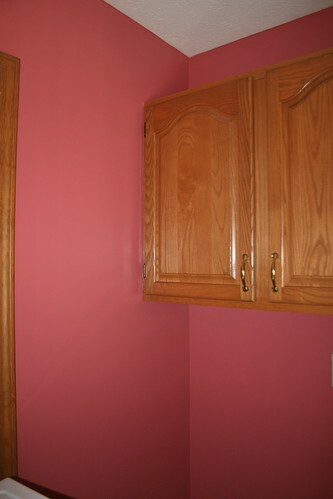 I finished painting the laundry room this afternoon. I got most of it done on Monday but I had to get a strong man to pull out Lulu. I couldn't budge her. I love the color. When the sun shines in the door (all morning long) there is a lovely pink glow coming from the room. What do you think? I think it looks great with the oak trim and cabinets. Now I just need that strong man to push Lulu and Gertie back into place so they can enjoy their freshly painted room.